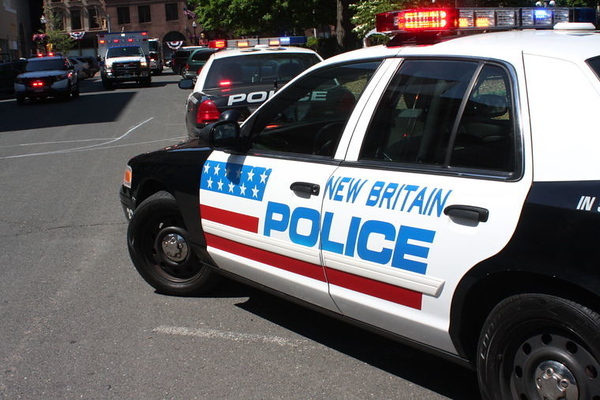 NEW BRITAIN - An 18-year-old Hartford man accused of committing a carjacking with two small children in the vehicle in May pleaded not guilty to the charges Tuesday. Jonathan Manuel Vellon was charged with several counts in August including kidnapping, carjacking, assault, and two counts of risk of injury to a child. He was incarcerated on unrelated charges when he was arrested and was served with three arrest warrants including two for other car thefts in the city, court papers said. Vellon stood silently with his public defender Christopher Eddy as he entered not guilty pleas in the case. His next appearance in New Britain Superior Court will take place on Oct. 9. A woman was pumping gas at a Columbus Boulevard station May 20 when a gray Honda Civic pulled into the establishment and a man who appeared to be a teen, pushed her down and got into her van, police said. Two children ages 3 and 7 were in the van when it was stolen. The children were dropped off on Cliff Street a few minutes after the carjacking. A Cliff Street resident was looking out his window and saw a group of men getting the children out of the car and pushing them to the sidewalk, police said. A Honda Civic, believed to be connected to the van theft, was also on Cliff Street and it appeared as though the people connected with the cars were arguing, witnesses reported. A motorist also saw the arguing and the children being pushed to the sidewalk stopped and spoke with the resident who had gathered up the children. The motorist then took off looking for the van and Civic which had left, police said. Police were able to crack the case with the help of an East Hartford school teacher who reported to a school resource officer that a 14-year-old student was taking credit for the carjacking and kidnapping, according to the warrant for Vellon’s arrest. It is unclear if the juvenile and a second juvenile believed to be involved have been arrested. The owner of the van later found a credit card that had been stolen in a Newington purse snatching in the vehicle after it was found in Hartford the night after the carjacking, police said. The victim helped connect Vellon to the crime, police said. Posted in New Britain Herald, New Britain on Tuesday, 4 September 2018 20:22. Updated: Tuesday, 4 September 2018 20:24.